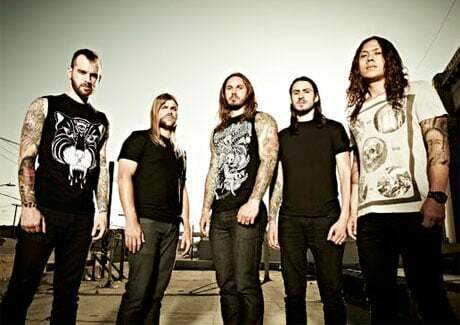 Earlier this week, many were shocked to learn that Tim Lambesis, singer for San Diego metalcore outfit As I Lay Dying, was arrested for allegedly trying to hire an undercover detective to murder his estranged wife. Lambesis was arrested on Tuesday (May 7), and few other details have surfaced from the case. According to Reuters, he was taken into custody after consulting an undercover detective to help him murder his wife Meggan Lambesis. Authorities had been tipped off that he may do so, and had been tracking him over the weekend. As we post this, the legal process is taking it's course and we have no more information than you do. There are many unanswered questions, and the situation will become clearer in the coming days and weeks. We'll keep you informed as best we can. Our thoughts right now are with Tim, his family, and with everyone else affected by this terrible situation - and with our fans, whom we love and draw strength from. Thank you for understanding, and as always, for your support of As I Lay Dying. MTV reports that Lambesis was charged with Solicitation of Another to Commit Murder and Conspiracy to Commit a Crime. He will appear in court today (May 9) for arraignment.